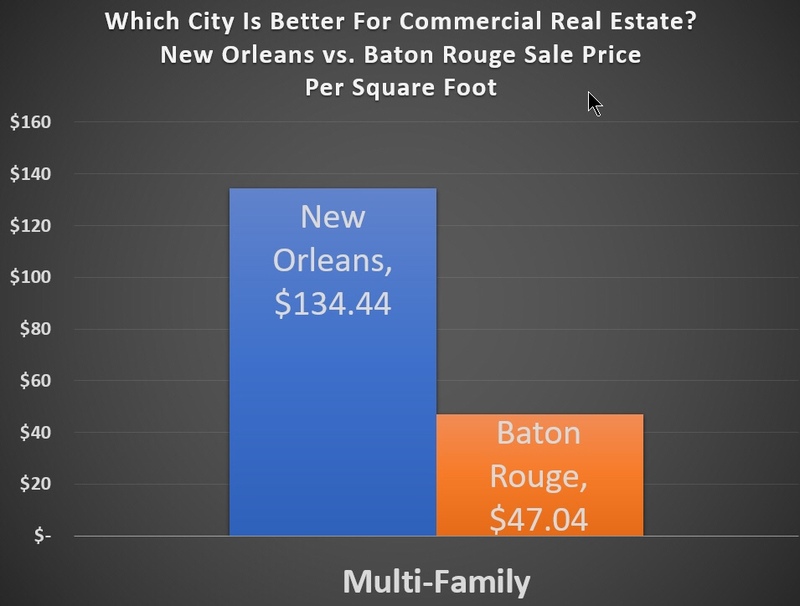 Is New Orleans the better real estate investment compared to Baton Rouge? The definitive answer is: It depends. For sellers, you want a higher price, measured by square foot. For buyers, you want a lower price. 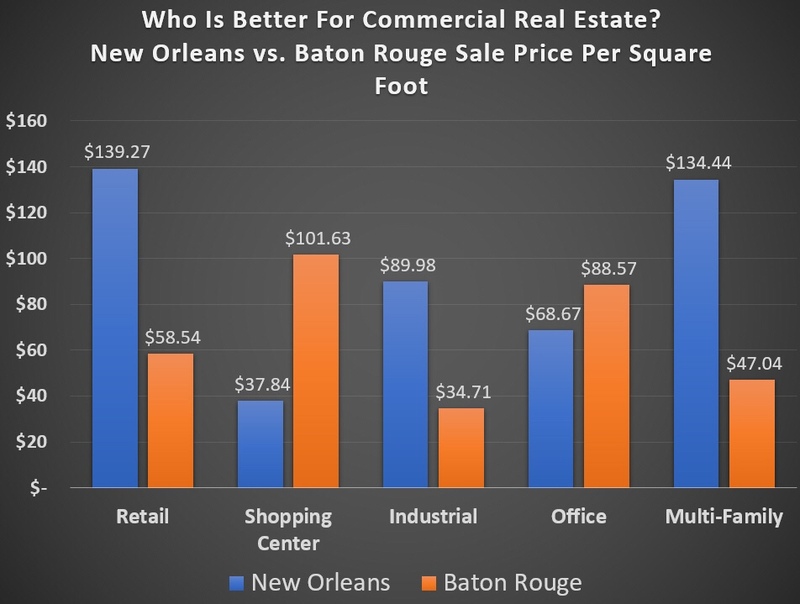 In the retail sector, which encompasses over 100 categories including clothes, toys, tools, food, furniture and office supplies, New Orleans commands a higher average sale price of $139 vs. Baton Rouge at $58 per square foot. The explanation is due to rent prices which are 80% higher in New Orleans, resulting in higher valuations. 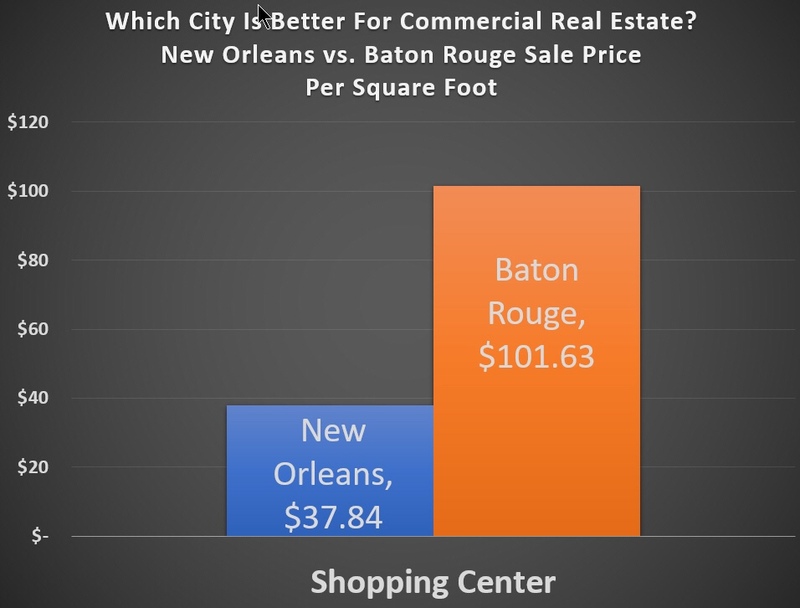 In the shopping center sector, which includes entire shopping centers comprised of retailers, Baton Rouge outshines New Orleans with an average sale price of $101 vs. $37 per square foot, going against the law of supply and demand because there are 3 times as many shopping centers in Baton Rouge compared to New Orleans. 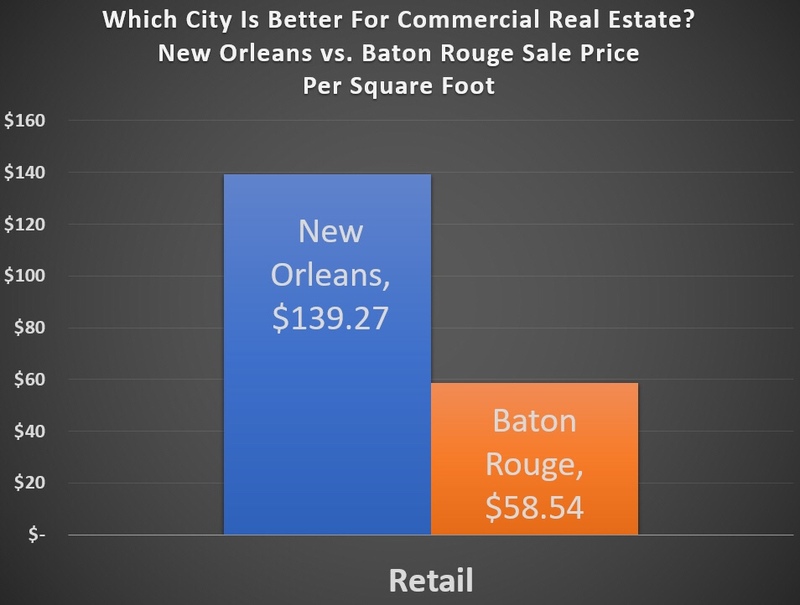 The smart decision for Baton Rouge shopping center owners is to arbitrage by selling Baton Rouge and buying New Orleans. 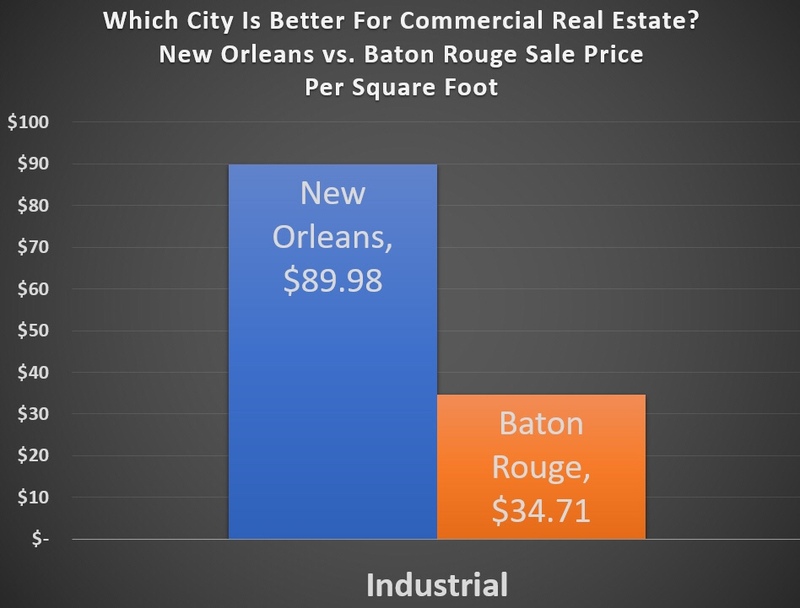 New Orleans warehouse prices average $89 vs. Baton Rouge at $34, and rent prices are about the same; however, Baton Rouge has 50% more SF on the market, resulting in lower sale prices. 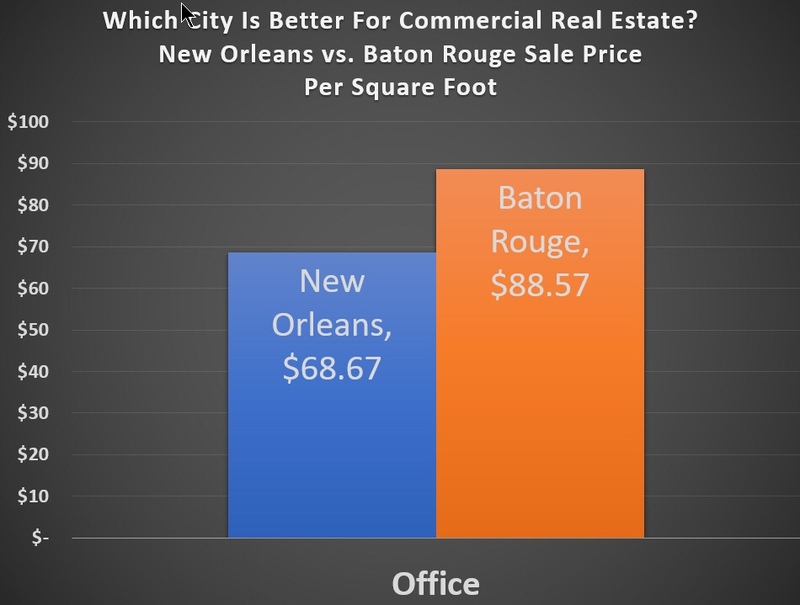 Baton Rouge office sale prices are about 15% higher ($88 vs. $68 per square foot) than New Orleans because rent prices are higher by approximately the same percent. Click here for our article explaining how price is a function of rent and the Capitalization Rate. Apartments require such hands-on management that prices can be all over the board. New Orleans apartment sale prices average $134 vs. Baton Rouge at $47 per square foot because everyone wants to move to New Orleans causing rents to be higher, and after Katrina, developers overbuilt the Baton Rouge market when they were flooded with tax credits making new construction more feasible.